Birmingham Royal Ballet marks its 25th anniversary by performing some of its earliest and most loved works. Audiences will be treated to the scintillating Swan Lake from September and then Sir Peter Wright's 25-year-old celebrated magical production of The Nutcracker in time for Christmas. The Autumn and Winter Seasons also includes a triple bill at Birmingham Hippodrome titled Variations, which includes George Balanchine's Theme and Variations - the first piece the company ever performed in Birmingham. BRB will not only perform at its base in Birmingham Hippodrome, but also across the UK from Belfast to Cardiff, Salford and Southampton. This year marks 25 years since Sadlers Wells Royal Ballet moved to the Midlands in 1990 to become Birmingham Royal Ballet (BRB), a move that was widely regarded as "the arts coup of the decade". Since then, Birmingham Royal Ballet has staged over 130 different ballets at their home of Birmingham Hippodrome over the course of around 225 weeks of performances. Added to that, it is also the 20th anniversary of famed choreographer and director David Bintley working with the ballet company too. 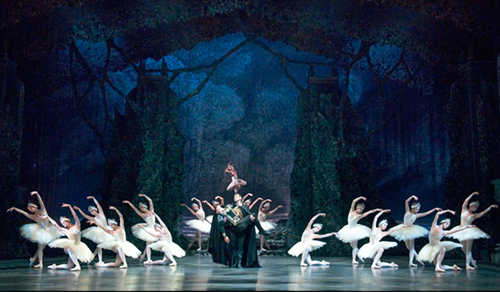 The Season kicks off with one of ballet's greatest love stories - Swan Lake. This romantic fable of ill-fated passion, powerfully illuminated by Tchaikovsky's legendary score. Audiences are transported to a moonlit lake where a grieving prince witnesses the transformation of a swan into a beautiful princess. Compelled by an evil spell to spend her days in the form of a bird, she can only be saved by the power of love. A BRB spokesman said: "Filled with exquisite ensembles, lyrical pas de deux, and bravura solos, this Swan Lake is atmospheric, romantic, and beautiful - an unforgettable experience." There will also be a special children's introduction to the ballet called First Steps: a child's Swan Lake, which take place during the tour in Salford, Birmingham, Plymouth, Cardiff and Southampton. Meanwhile, Variations triple bill will only be performed at Birmingham Hippodrome as part of the 25 year celebrations. It features three contrasting short ballets that exemplify the dancers' abilities to perform classical, abstract and characterfully English ballet. The trio of delights range from the "joyful and grand" Theme and Variations, which was choreographer George Balanchine's love letter to classical Russian ballet set to the final movement of Tchaikovsky's Orchestral Suite No.3. There is also the abstract and energetic ballet Kin created by former BRB dancer Alexander Whitley and Enigma Variations, an elegant and eccentric character ballet choreographed by Frederick Ashton, who was depicting Edward Elgar and his friends. Moving on to the festive season, the well-loved, magical ballet The Nutcracker will thrill at Birmingham Hippodrome. Featuring a cavalcade of lovable characters plus action, adventure, romance and sublime dancing, this BRB production created by Sir Peter Wright is ballet at its best and unmissable. It will only be performed in Birmingham from November 27 to December 13 and is a show for all the family. Tickets cost from £19. Call 0844 338 5000 or visit the Birmingham Royal Ballet website. Visit Birmingham Hippodrome website to book tickets. Visit the Birmingham Hippodrome website for tickets.